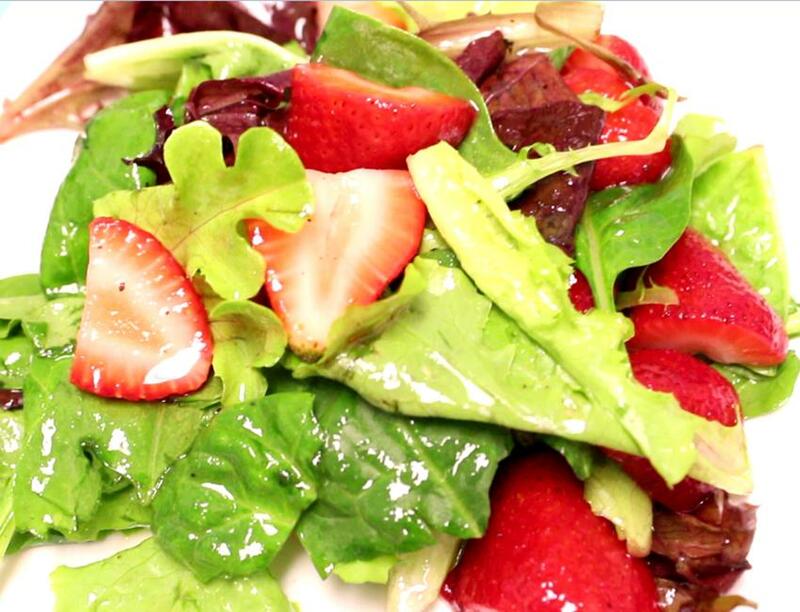 In less than 15 minutes you can prepare this super easy and tasty Mixed Greens & Strawberries Salad with Sweet and Tangy 5-ingredient Vinaigrette, simply Marulicious! Add strawberries to mixed salad greens in a salad bowl and set aside. To make vinaigrette, combine Marukan Seasoned Gourmet Rice Vinegar, olive oil, mustard powder, salt and pepper in a mixing bowl and mix well. Drizzle vinaigrette over strawberries and mixed greens and toss well.